Guest will have the opportunity to vote on their top two favorite chilis. So whip up your baddest pot of chili and head to the Chili Cook-Off and McNeil Pointe. "We invite you to showcase your baddest, meanest chili recipe at our first ever Chili Cook Off at McNeil Pointe! -As a Chili Cook Off Participant, you will bring 1 gallon of pre-made chili in a vessel that can keep the chili warm. Crock pots are ideal. We will have sufficient electrical outlets for all participants. -From 1:00-2:00pm, chefs will sample out their chili to House of Hops guests. Guests will vote on their TOP 2 favorite chili recipes. 2. Best use of Appalachian Mountain Brewery Beer Recipe (if you would like to enter your recipe into this category, stop by House of Hops Glenwood to pick up 2 FREE 12oz cans of any AMB beer. Simple show your Eventbrite registration e-mail to the bartender). -All chili will be judged as it is cooked. No toppings, garnishes, or sides can be served with the chili (i.e. cheese, cilantro, sour cream, bread, a shot of beer, etc.). -Registration is $15. The $15 registration fee includes receiving a LIMITED edition House of Hops Chili Cook Off Apron and 1 Appalachian Mountain Brewery draft beer. Gabriela will contact all chefs via e-mail one week before the cook off to determine which category a chili will be entered into. -Chefs can invite a "sous chef" to assist the day of, or just to be a drinking buddy. A "sous chef" does not need to register nor pay for a ticket. -Chefs are to arrive no lager than 12:30pm to set up. Tasting will take place 1:00-2:00pm. At 2:00pm all votes will be tallied. 3 winners will be announced at 3:00pm. -Chefs will need to bring a utensil to serve the chili with. 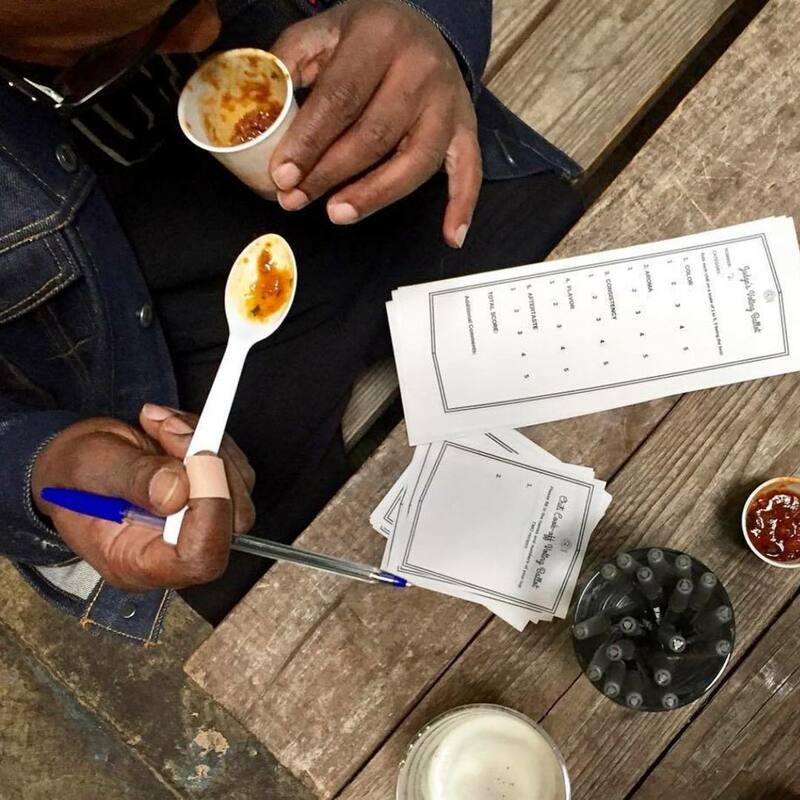 House of Hops will provide tasting cups, spoons, and napkins for guests to sample chili. -Chefs must bring with them a list of ingredients in chili. -A chef cannot win more than one category. -The Best Overall category will be chosen by anyone who wants to come, sample and vote. So invite friends to come out for a beer and vote for your chili! For more information or questions, e-mail Gabriela at Gabriela@houseofhopsnc.com. Can't make Saturday, February 9? We will be hosting Chili Cook Offs at House of Hops on Saturday, January 26 and House of Hops Pittsboro on Saturday, February 23."